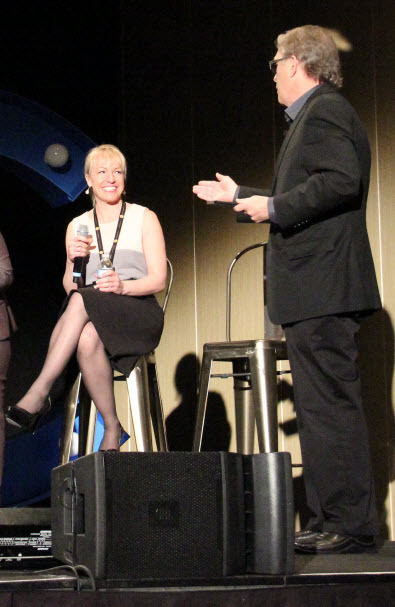 LISLE, ILLINOIS (February 4, 2015) – Rebecca Jensen, the incoming President/Chief Executive Officer of Midwest Real Estate Data (MRED), Chicagoland’s multiple listing service (MLS), was one of the featured panel members at the Real Estate Connect conference in New York, which took place January 28-30, 2015. Ms. Jensen was on a panel titled “How I Would Do It: Big Thinkers Lay Out the Plan For Their Dream MLS”. Facilitated by David Charron, President and CEO of Metropolitan Regional Information Systems (MRIS), other speakers included Cary Sylvester, Vice President of Technology Innovation, Keller Williams; Christine Todd, CEO of the Northern Virginia Association of Realtors; and Heather Elias Vice President of Industry Engagement, Century 21 Redwood Realty. Initial discussion focused on what the MLS should be about, and if it can meet the needs of all of its stakeholders. The panelists also addressed concerns in the industry about MLSs providing services directly to consumers. This was Ms. Jensen’s first public appearance as MRED’s new President/Chief Executive Officer.